Sarah and Jesse reported back to us from their meeting with Mr Shields. As the chair person and vice chair person Jesse and Sarah went to meet Mr Shields to discuss the school council's ideas with him. Mr Shields came to speak to the Council about their requests. Mr Shields took our requests very seriously and some of the problems we talked about have been solved already. Our meeting was very successful and we have lots more ideas to discuss in the New Year! 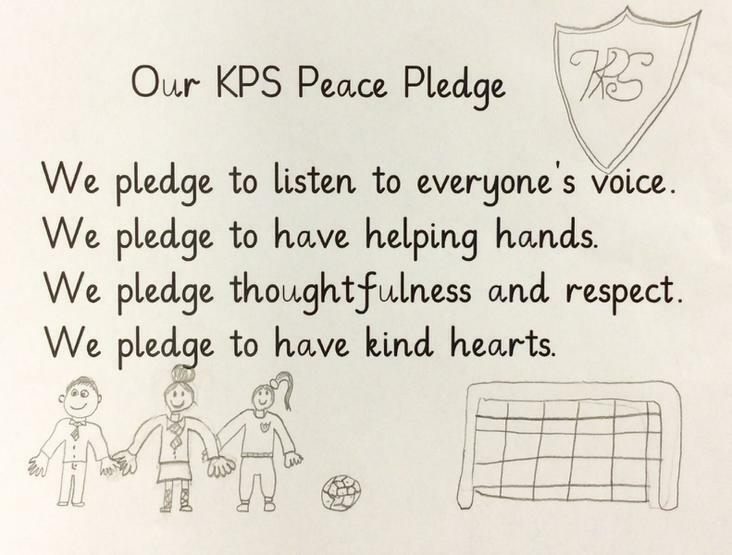 As a School Council we wrote A Peace Pledge to represent KPS. It is being sent to the Pathway of Peace, a peace building initiative organised by the Education Authority.